Timeshift looks back to a time when British professional wrestling attracted huge TV audiences and made household names of the likes of Mick McManus, Giant Haystacks and Big Daddy. Timeshift turns back the clock to a time when villains wore silver capes, grannies swooned at the sight of bulky men in latex and the most masculine man in the country was called Shirley. In its heyday, British professional wrestling attracted huge TV audiences and made household names of generations of wrestlers from Mick McManus and Jackie 'Mr TV' Pallo to Giant Haystacks and Big Daddy. 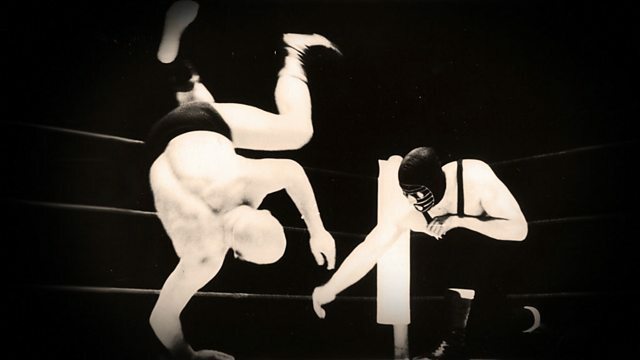 With contributions from inside the world of wrestling and surprising fans such as artist Peter Blake, this is an affectionate and lively portrait of a lost era of simpler pleasures, both in and out of the ring.